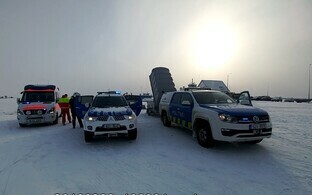 On Wednesday morning, divers are continuing the search for the fourth body in an incident where a van broke through the sea ice and sank approximately half a kilometer away from Munalaiu Harbor in Pärnu County the day before. The van was carrying six people at the time of the incident, two of whom were rescued and transported to Pärnu Hospital. 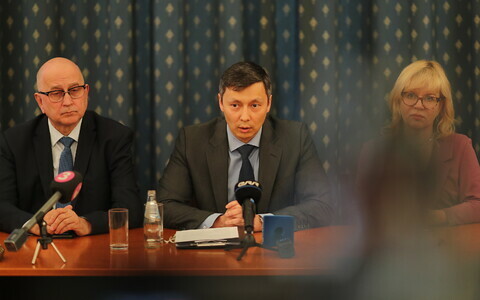 At 3:15 p.m. on Tuesday, a diver surfaced with the bodies of two men; a third was recovered at 7:20 p.m.
"According to our information, there was one more man in the van, whom divers have not yet found, but the search will continue on Wednesday morning," said Pärnu Police Station director Andres Sinimeri. The van broke through the ice a few hundred meters away from the Kihnu-Manilaiu waterway; the water at the scene was approximately four meters deep. The sea ice in the vicinity of the harbor is approximately 5-8 centimeters thick but patchy. There are currently no official ice roads in the area. 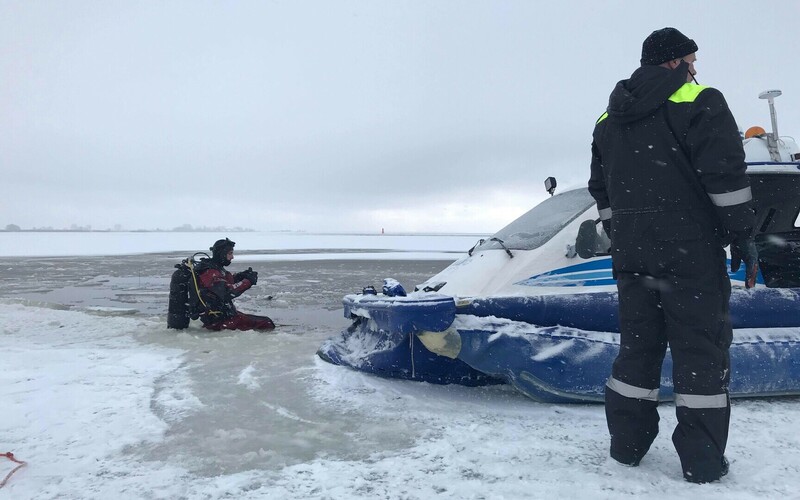 At 12:07 p.m. on Tuesday, an emergency call was received about a van that had broken through the sea ice some 500 meters away from Munalaiu Harbor. 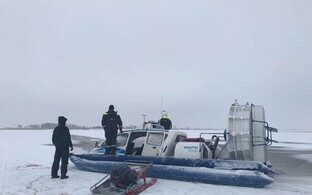 A dispatched Rescue Board hovercraft managed to rescue a 41-year-old man and 51-year-old woman from the ice, both of whom were taken to Pärnu Hospital.